Connect with your highest self. Cherish those who are dear to you now. Connect with your highest self. Cherish those who are dear to you now. This is the lover’s card. 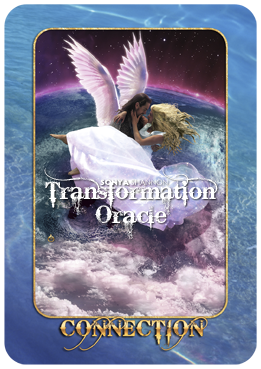 When this card appears in a spread or is pulled as the card of the day, it means the focus is on love. If you are in a relationship, it’s time to soften your heart towards your partner. Have you been taking your partner for granted—even in small and subtle ways? Say an extra “Thank you!” for each little thing your partner does for you. If you have lingering resentments, frustrations, or other hard feelings (and who doesn’t, over time? ), ask yourself how important are they really? Today may be the day to speak with your partner or express your concerns. Call a meeting of two and be prepared to take turns listening and sharing, with kindness and respect. If there’s no time for a meeting, try a thoughtful and loving hand-written note. Remember to point out and express gratitude for the good things about your partner. Since this is a WATER card, be sure you let your heart feel the good things as well as the challenging! If you simply feel tired with your partner, now is the time to shift up the routine and try something new. Make reservations at a new restaurant, get tickets to an event you’ve never experienced before, or take turns reading out loud from a new resource. It may be time for a second honeymoon! If you seek a partner, spend some “daydream” time feeling how happy you are to love and be loved. This exercise in imagination not only attracts new love into our lives, but brings to mind those who do love us. They may be family members or platonic friends, or people from the past who shared our journey. Take time to express your gratitude and show interest in their lives in some way: perhaps a phone call, text, email, or a hand-written note. Being a source of love to others is the surest way to attract it to ourselves. If this card appears upside-down, something is blocking your ability to be intimate now. Stress, excess work or responsibilities, or plain over-scheduling drain us of the energy and time we need for loving connections. Dark emotions such as suspicion, jealousy, and anger may also repel or impede our ability to connect. Check in with yourself to see what you have put higher on the list than love. Relationship is a two-way street: we need to give love AND receive it. What is out of balance for you now? Pull another card or study your spread for help how to be more available and open to a loving relationship.